On the evening of April 2, 2005, Wlodzimierz Redzioch, a Polish journalist who worked for more than 30 years for the Vatican newspaper L’Osservatore Romano, was with the thousands praying in St. Peter’s Square. In this way, he wanted to show his closeness to the dying Pope. Then the announcement: John Paul II died at 9:37 p.m. The beloved Pope’s death left a great void within Redzioch, because he lost not only the Pope, but also the point of reference in his life, a father. He tried to fill the void left by the Pope in various ways. As a journalist, he began interviewing people who knew Karol Wojtyla/John Paul II, including Pope Benedict XVI. Twenty-two interviews have been published in his book: “Stories about Saint John Paul II told by His Close Friends and Co-Workers” by Ignatius Press (www.ignatius.com/Products/STJP-H/stories-about-saint-john-paul-ii.aspx). In this interview with ZENIT, the Polish vaticanista gave us an inside look at his work, including how it offers us insights to St. John Paul II like no other and the experience of interviewing his successor, Pope Benedict XVI. ZENIT: How does this book offer insight into the late Pontiff’s life like no book before? Redzioch: I reached the closest friends of Karol Wojtyła and the most important collaborators of John Paul II. I won the trust of these people and I picked up their testimonies. I asked 250 questions in total and I received the same number of answers. Every answer is like a pebble of a mosaic. With 22 exceptional testimonies, one mosaic, one portrait, one multicolored and coherent picture of the Pope was made — a man of flesh and blood, a man of God, hence a saint, pastor of the Church, teacher of the faith, tireless pilgrim, the spiritual leader of the modern world. ZENIT: Who did you interview for the book? Redzioch: First of all, the friends of Karol Wojtyla from Poland (Poltawska, Grygiel, Cardinal Deskur, Cardinal Nagy), co-workers of John Paul II in the Roman Curia (Cardinal Sodano, Cardinal Ruini, Mons. Ptasznik), the private secretaries (Cardinal Dziwisz, Archbishop Kabongo, Archbishop Mokrzycki), the witnesses to his pontificate (Mari, Biocca, Dr Buzonetti). There were also people tied to the cause of beatification and canonization (Cardinal Amato and Mons. Oder), with two women who were healed through his intercession (Sister Normand and Mora Diaz). But at a certain point, I realized someone was missing: Cardinal Ratzinger. So I wrote to the Pope emeritus, sending him the draft of the book, and I wrote to him: “Your Holiness, your testimony is missing from this book.” A couple of months later I obtained a unique and moving interview, unique because it was the first interview he granted after his resignation. ZENIT: Tell us more about the experience of learning from Pope Benedict about his predecessor. “From the start I had great esteem and a cordial sympathy for the metropolitan of Kraków. But above all, right away, I felt strongly the human charm that emanated from him, and, from the way that he prayed, I sensed how profoundly united he was to God”. “My memory of John Paul II is full of gratitude. I could not imitate him and did not have to, but I tried to carry on his heritage and his task as well as I could. And so I am quite sure that even today his kindness accompanies me and his blessing protects me”. ZENIT: What, from your point of view, are the highlights? After all, you interviewed those closest to the Pontiff, including now Pope Emeritus Benedict, but also those who knew Wojtyla growing up, as well as Vatican co-workers and cardinals? Redzioch: Thanks to the testimonies of friends and co-workers it is possible to understand much more the person of John Paul II. First of all, the Pope had an extraordinary human warmth. And this warmth was associated with a rare ability to listen and understand others. The meeting with the Pope always left “traces” in people, even non-believers. 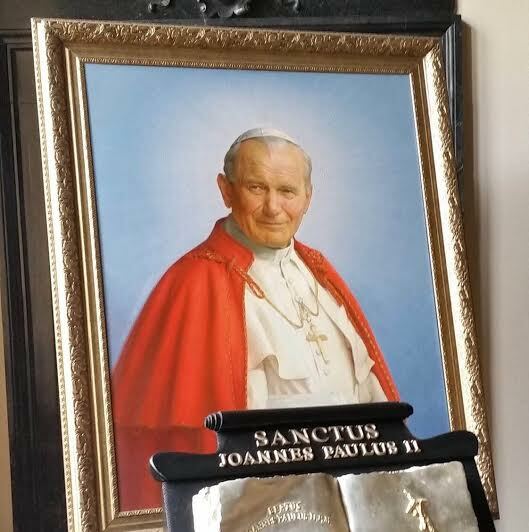 For Wojtyla, the Eucharist and prayer were the center of life. Its mystical relationship with God was the source of his great faith and strength. The Pope Emeritus told me that “only in terms of his (John Paul II) relationship with God is it possible to understand also his tireless pastoral commitment. He gave himself so radically that it cannot be explained otherwise”. The pastoral commitment of John Paul II was enormous: the Pope made 146 apostolic journeys to Italy and 104 abroad, visiting 129 countries: 822 days on the road (8.65% of the time the papacy); in 147 ceremonies of beatification, beatified 1338 Servants of God and in 51 canonization ceremonies, proclaimed 482 saints; he wrote 14 encyclicals, 15 apostolic exhortations, 11 constitutions, 45 apostolic letters to which are added the annual messages for the World Day of Peace, for the World Day of the Sick, for World Youth Day, World Day for Social Communications. In these twenty-seven years, John Paul II changed the world: he did it not thanks to the brilliant political strategies but mainly because he was able to change the hearts of people (the real and lasting changes are not possible if they are not born in the hearts of the people). 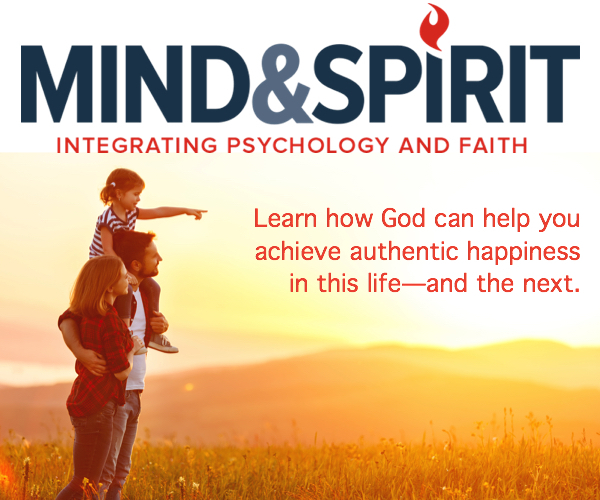 This change was possible because people felt loved by that man that the Holy Spirit wanted as the Vicar of Christ on Earth. John Paul II touched the minds and hearts of millions of people. ZENIT: Could you speak about prayer being at the heart of John Paul II? Redzioch: I had the opportunity to participate in the Holy Masses in his private chapel of the Apostolic Palace. To see John Paul II pray and celebrate Mass was a unique experience. The first rule in the papal apartment was that you do not disturb the Pope when he prays, all other things can wait. Seeing him in the chapel, when he held his head in his hands or when he looked up to the top, I had the impression that he spoke with the Lord. The journalist Domenico Del Rio wrote that Wojtyla when he prayed “was put in God” and this saved him from everything. I think John Paul II taught us how to pray, and this is his great merit as Pope.